Are you ready for the Preneur Business Klub? Curious to see exactly what happens when you blend business + legal + Kajabi + an unparalleled masterminding community? Yes, I'm curious to see this. What exactly am I going to get if I sign-up? Business models and how most preneurs have landed in a default one that doesn't fit what they want. The legalities around branding and selling an online course that most preneurs totally screw up. How Kajabi is designed to give us more freedom and time in our lives and specific ways to take advantage of it. All the videos are also available via the free product that you will have access to. Using Kajabi, I created a specific product that holds different workshops that are available as part of this PBK Visitors' Lounge experience. What is the PBK Visitors' Lounge? The Preneur Business Klub, PBK, Visitors' Lounge is a complementary space where you can learn more about PBK by interacting with me and others. Instead of sending incessant emails communications, Kajabi allows me to create a 24/7 password accessed space so that I can add workshops, downloads, resources, etc. and you access when and where it's right for you. PBK, the Members' Lounge, the paid option is a space that is built around community, content, collaboration, and I want to do my very best to give you a true sample of what the paid version is like so you can make the best decision for you. Do you open and close PBK? You won't see a countdown timer when you are within my space because you are your own best timer. What tools, resources, and most importantly people do you need in your life and business? I've listened to the same gurus that you have and what works for them doesn't always transfer to the rest of us and so while others might open and close - I believe that when you're ready to knock on the PBK, the Preneur Business Klub, doors we are here to welcome you in. PBK has purposely curated the digital space that we work in to have what you need, when you need it, and most importantly helping you know how to access what you need at the right time - so we want a when you are ready philosophy to be part of the atmosphere that we swim in. Nope. 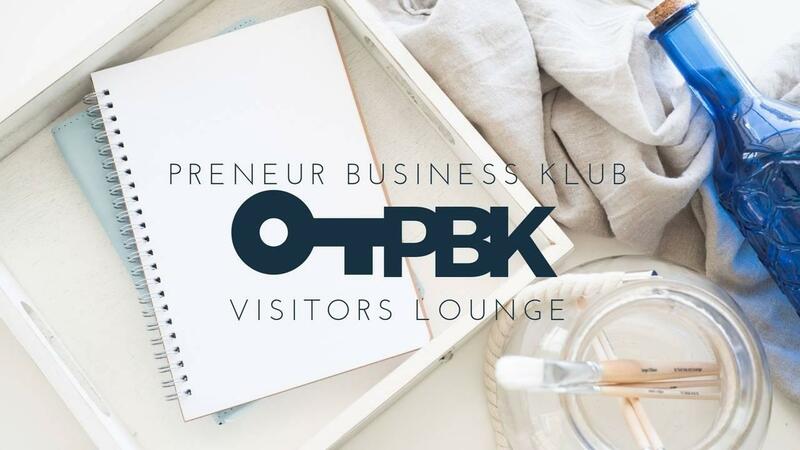 The PBK Visitors' Lounge is a complementary space for you to make connections, ask questions, see content, and ultimately decide if the Preneur Business Klub is what you need (and want) to bring into the team you are assembling for your life and business. If you decide that you enjoy PBK and want to be a part of the members' lounge, there are links available from directly within the product where you can easily add the paid version to your world. This is the link to the paid version if you are curious. I'm going to invite you to join the Preneur Business Klub when and IF you know it's where you need to be. What you will experience is purely educational - it's important to me to highlight a few different areas that I KNOW many preneurs screw up and that's the content I've designed for you and will be walking you through. So while yes there may be a sale - I've designed an experience with an invitation because that's how we'd be doing it in real life. I'd set up a party and send you an invitation and then you'd RSVP. Do I have to have a business to sign up? Not at all. You are welcome in PBK Visitors' Lounge with or without a business. So if you've read a book, listened to a podcast, watched a video, or _____ and are curious about being a preneur, then please come on in and let us share our ideas with you. We purposely call ourselves preneurs because each and everyone of us may identify with a different type of preneur, so no matter what kind of preneur you are - you are totally welcome within PBK. Where do you want to be 6 months from now? 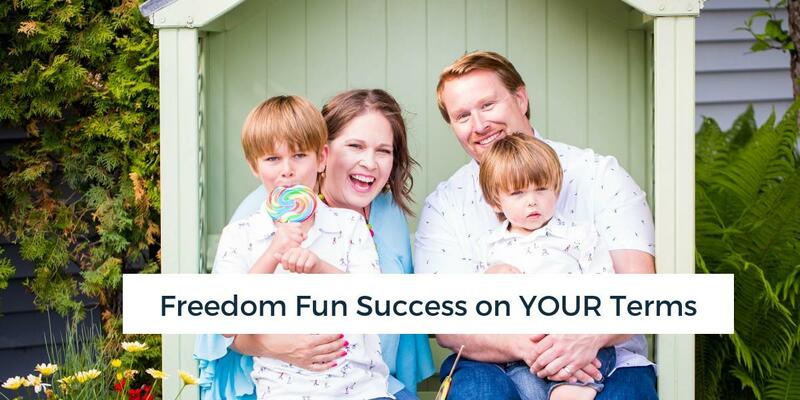 What level of freedom do you want in your time, money, and career? As a lawyer, teacher, and parents to littles - you can create what you want and PBK makes it all happen more quickly with a lot of enjoyment and support. Yes, I want to see what's possible! Let's start that 6 months timer now. Where can you go? What can you accomplish? and How can PBK, the Preneur Business Klub, help?